This hotel is located on Hankø island, just a 3-minute ferry ride from the mainland and 16 km from Frederikstad. 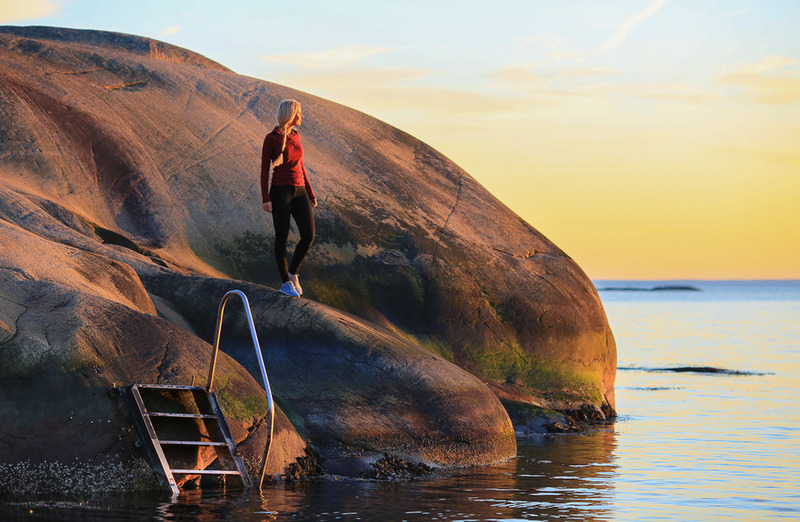 Guests have free use of the hot tub, pool, gym and sauna.Since 1877, Hankø Fjordhotell & Spa has provided accommodation in a peaceful, natural setting on the Oslo fjord. Fredrikstad's coastline consists of a large and considerable archipelago with more than 1,000 islands and reefs. There are two lighthouses, Struten and Strømtangen, where it is possible for tourists to stay. Among the best known islands is Hankø, which is a popular hiking area with a lush flora. Hankø is also known as the Mecca of sailing and the most fashionable holiday resort in the Oslo fjord. Hankø is a relatively large island west of Fredrikstad. It is divided by a north-eastern running valley. The northern part is scarcely populated and for a large part covered by forest, while the southern part has many cabins and a few local inhabitants. Hankø's history goes way back and to before the sailing sport was invented. Hankø's highest point is currently 55 meters above sea level, i.e. when the ice cap retracted (about 10-12,000 years ago). At that time all of Hankø was below water. About 5,000 years BC, this point emerged from the water. At the end of the Stone Age, approx. 2,000 years BC, the sea level was 20 meters higher than today. Hankø consisted of 10-15 small islands and reefs. It is from this time we find the first traces of human inhabitation on the island. Both north on the island and in two locations along the eastern side, there are ancient burial mounds dating back to the Bronze Age. It is, however, unclear whether the island was inhabitated or used as a hunting place in the Middle Ages. There are no signs of human activities from this period. The first permanent residents on the island came about the mid-1700's. Earlier Hankø belonged to the Elingaard Manor and was mostly used as a summer grazing place for the animals from Elingaard and underlying farms in Onsøy. Long before holidaymakers and sailors started coming to Hankø, it was known from the 1870's as a health and bath island, where one could enjoy mud baths with massage or hot baths with pine needle soap. During activities at a brickworks nearby in 1873, a healing sulphurous mud was discovered in the Hankø sound. This mud was believed to have a healing effect on a plethora of diseases. A Bath Hotel & Coastal Sanatorium was therefore established on Hankø. Hankø thus became one of the most famous spas in the country during the last decades of the 1800's. Olav. From his debut in 1918 until the Vestfjorden Spring Regatta in 1990, which was his last, the King participated in an unimaginable number of regattas. He owned a total of 19 boats. His last was 5.5 is "Norna XII", which was contracted in 1986 when King Olav was 83 years old! The Summer paradise of sport sailing. Hankø is famous for its regattas, where among others the royal family have been annual participants. Today Hankø is the center of sailing in Norway. Numerous regattas have been arranged here since 1882, when the Fredikstad Sailing Association (Fredrikstad Seilforening) was founded. On July 29 of the same year they staged the very first regatta at Hankø. The hotel had 300 guests staying at least one week this year. The original sanatorium house between the men's and women's baths was demolished in 1883 and a new and "modern" hot bath house was built at a more central location at the sound. This "hot bath" is known as Seilerkroa today. It is nice to watch the regattas from soild ground if you're not participating yourself. The highest foothills at Vikane on the mainland, and the open landscape at Hankø's south-western side, are perfect places to watch the regattas. Fill a picnic basket and enjoy the maginificent view. The ocean is sparkling, the sail boats with their colorful sails cleave the waves and salty drops cloud your sunglasses. The hotel's guest lists prove that lots of foreigners have been attracted by the environment and the beautiful nature, especially at the outer side of the island. There are a few nice sandy beaches on the north of the island, which are protected nature reserves. Hankø has many nice hiking routes and paths and they are highly recommended. You will see deer often. There is a lot of them on the island, and they have become so accustomed to people that they are not afraid of being looked at. The deer are descendants of the first ones that were put on the island in the late 1800's. Hankø has a lot of nice skerries. Shiny rocks are facing the ocean, inland are enormous oak trees. Together they show how the archipelago once was along the coast of Skagerrak and the outer Oslo fjord, before almost everything was chopped down. Pit Stop in Hankøsundet. Refueling is necessary on long Summer days. Ice cream and fuel are the main ingredients on the mainland side of Hankø – Terje Andersen’s convenience store and kiosk in Vikane is a favourite destination to enjoy ice cream in the sun here. The Summer paradise, Vikane, has a petrol station, kiosk and convenience store, all thanks to Terje and his wife serving the boat people and tourists during the Summer. Ever since 1888 there has been a shop in this house. On the mainland side is the kiosk with a marina. Here you will also find a general store where you can get good food, drinks etc. If you want to shop for groceries here during the regattas, you need to be patient. The queues are long with lots of shoppers. A passenger boat runs continuously between the mainland and the Seilerkroa and the Yacht Club on Hankø.